HALE.life is a precision health and medicine company reimagining the primary care experience. We are working to change sick care into health care. To begin, we are partnering with physicians, trainers and technology companies to provide more comprehensive information on health and performance. We use proprietary information engines to integrate this information and deliver decision support systems and personalized care plans to our customers. We are all inundated with data – what we need is a way to organize and integrate this personalized information to optimize health and performance. This is HALE.life. To visit our current focus on sports and athletes, check out HALESports.com. Imagine you are 20 years old, at a high visibility college athletic program. What should you and your team know about your performance capabilities? Imagine being guided with a personalized, comprehensive care program, resulting from the advanced physiological, biochemical and imaging information now available to you. Imagine improving performance, reversing bad nutrition and sleep habits, and prioritizing your actions to get to the best outcome while also being alerted to potential chronic issues. Rather than being inundated with more confusing data, imagine instead receiving an information-driven, personalized care plan developed from all of this data. This care plan then becomes a point of collaboration among you, the team strength and conditioning team, and your physician to guide care over the months and years. It is precise, personal and collaborative. Imagine you have a family history of diabetes and you are 45. You have become less active with age and your weight has increased. Imagine being able to get information on your genome, your biochemistry, your microbiome and advanced physiological testing. Imagine if all that new information on your health could be translated into your own personal care plan. You now have a roadmap to your future health and a plan to reverse course. This care plan becomes a point of collaboration between you and your physician. It is precise, personal and collaborative. Imagine you are living with an undiagnosed disease, or planning to maximize health well into your eighties or beyond, or a millennial – data voracious, but wanting concise, digitally delivered, care plans. Begin to imagine a new primary care experience – precise, personal and collaborative. 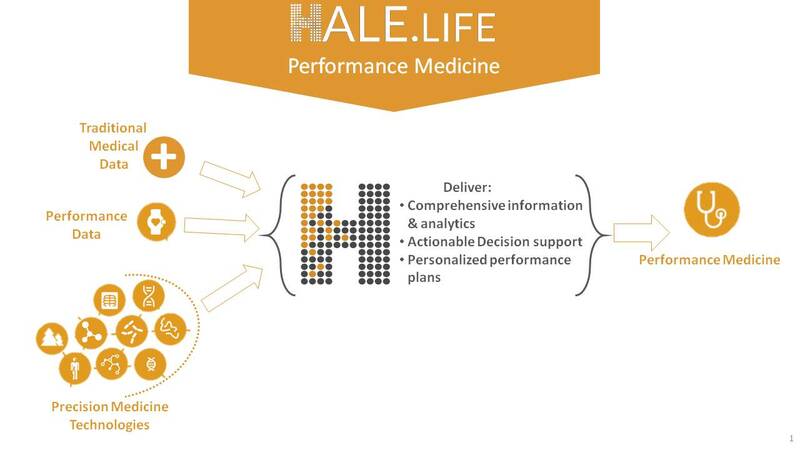 At HALE.life, we are optimizing health and performance through precision medicine.